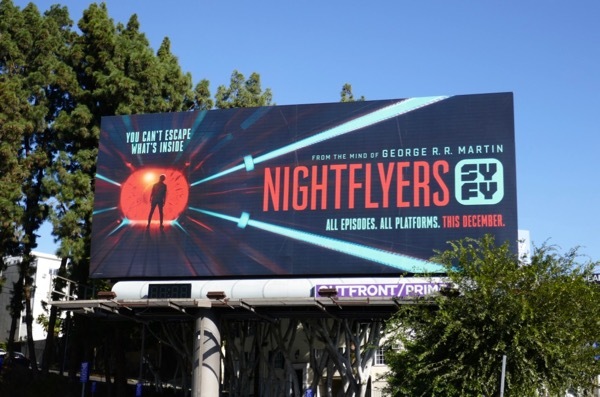 Game of Thrones isn't the only George R. R. Martin creation currently filling the city skyline at the moment, as the adaptation of his 1980 sci-fi horror novella Nightflyers is also trying to catch passersby eyes. 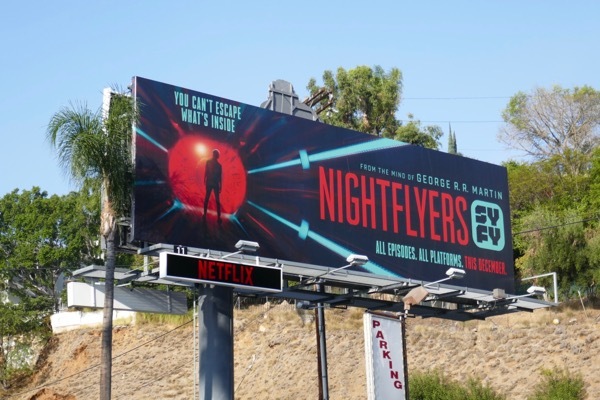 Already adapted as a film in 1987 this version from Syfy sees a team of scientists in 2093 embark on a voyage into space aboard an advanced vessel called the Nightflyer to make first contact with alien life. 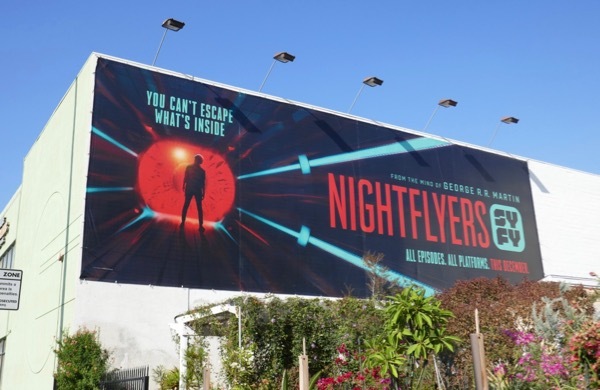 Things on their mission take a sinister and terrifying turn as they realize something may be on their ship with them in this psychological thriller. 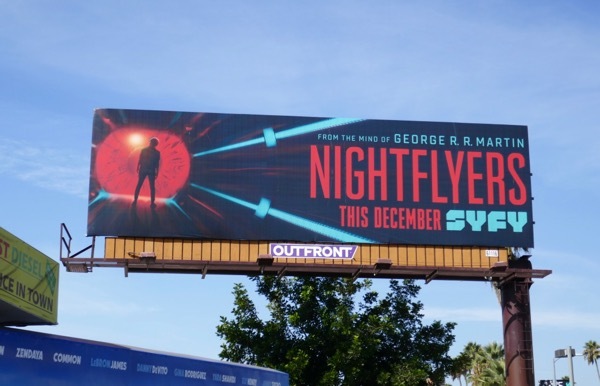 Syfy really started to promote this series early and the teaser billboards were photographed along Sunset Boulevard from September 18 to September 24. The ship's corridor key art looks like a creepy eye and really helps these ads stand out. 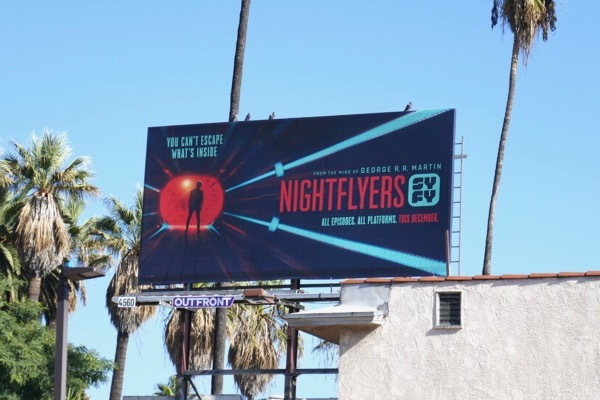 Meanwhile the follow-up 'You can't escape what's inside' billboards were snapped in different ad locations along Sunset Boulevard from November 22 to November 24, 2018. 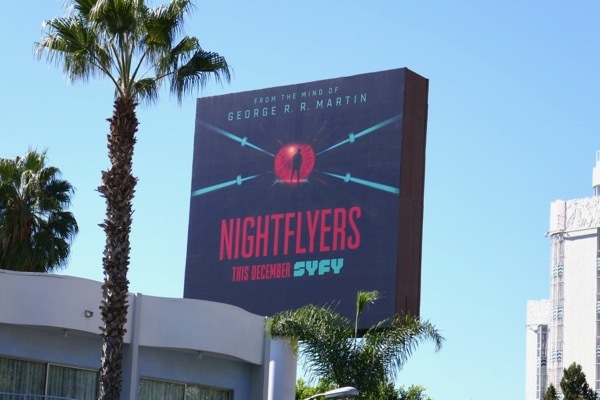 Only time will tell whether this science fiction series will prove as critically and commercially successful as the fantasy drama that came from the same author's mind. 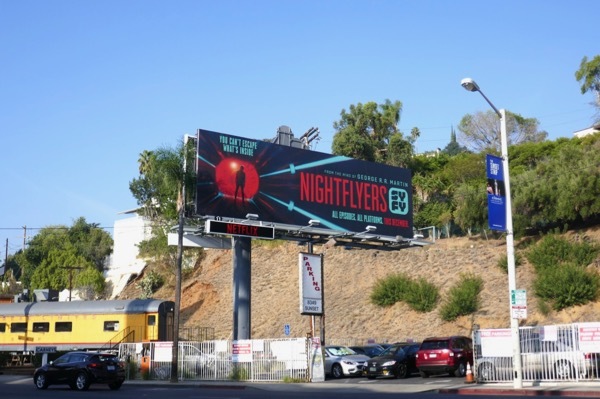 Will you be going along for the ride this December?